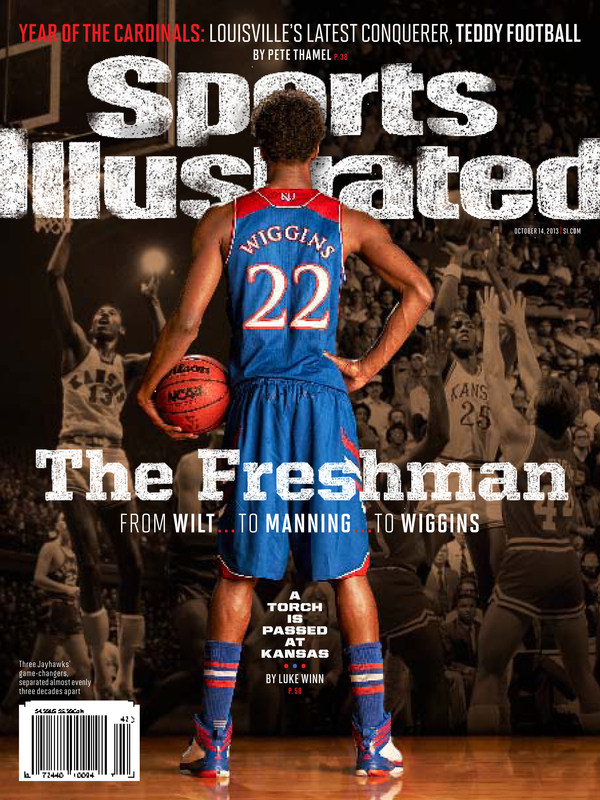 Andrew Wiggins is featured on the cover of the newest Sports Illustrated issue, which is set to hit newsstands this week. The cover of the issue features Wilt Chamberlain and Danny Manning, who also both happened to be highly-touted freshman. 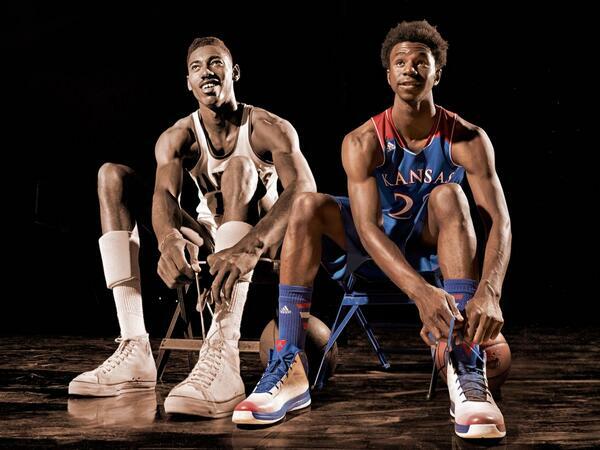 Brad Smith, director of photography from Sports Illustrated, first tweeted out the picture. However, he decided to delete the tweet because he wasn’t expecting it to the get attention it did and decided to wait until Wednesday morning to re-post it. 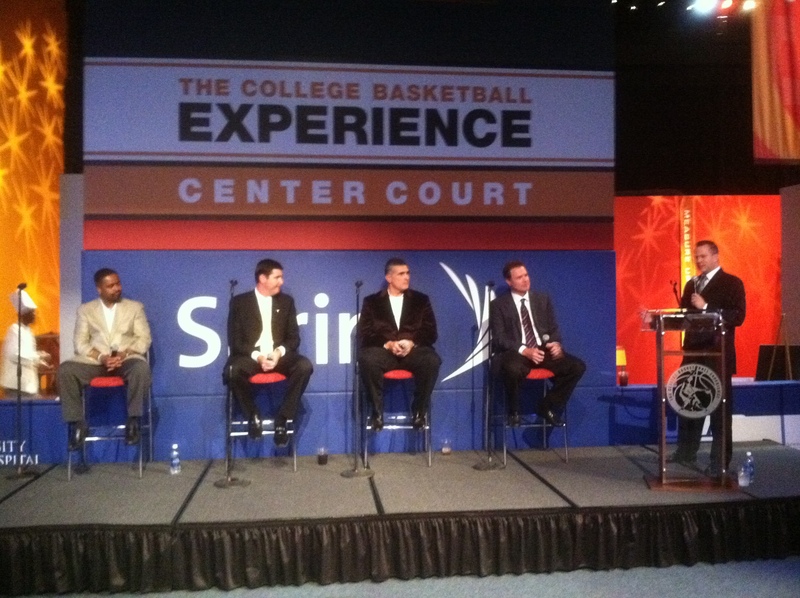 Smith said that Wiggins was great to work with. He said that he was “friendly, happy and cooperative” and was all about basketball, which is unique for an 18-year-old. The article itself speaks to what is like to be a freshman for all three: Wilt, Danny and Andrew. And the article ties him into each of the three classes. The table of contents features the same pose but now you get to see his face. 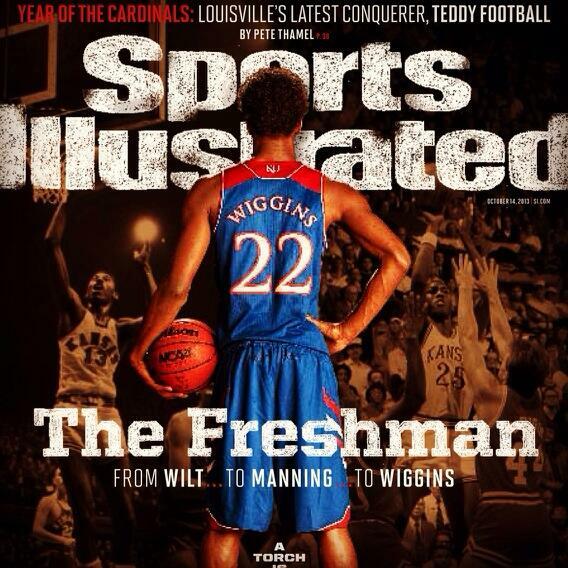 The cover is the cover … but the story doesn’t call him the Next Wilt. It’s about the arrivals of three No. 1 players in different eras. 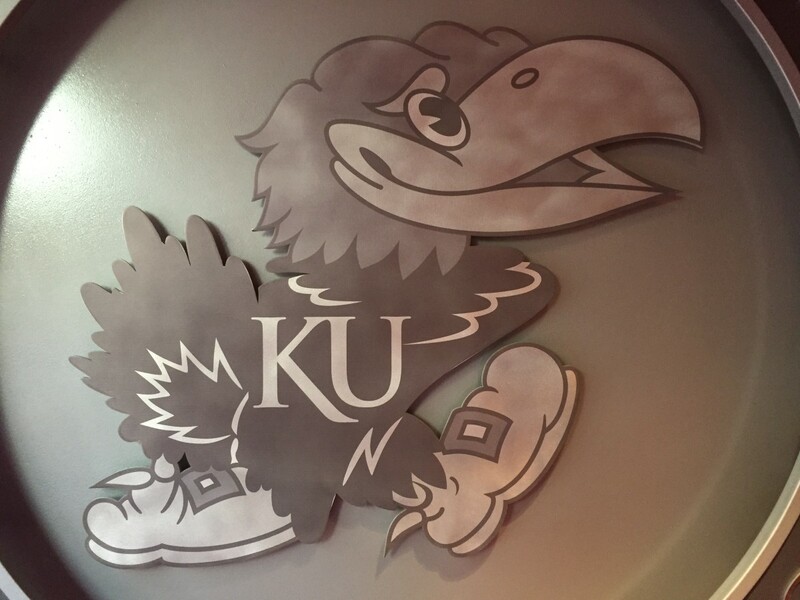 What we learned – South Dakota at Kansas: Fangs shown!